What Exactly Are Hallux Valgus? Bunions are a common problem that most people experience as a bony protuberance at the base of the big toe. A bunion, however, is more complicated than simply a bump on the foot. When a patient has a bunion, the big toe angles in toward the other toes, a condition called hallux valgus. Bunions are most common in women, and the cause is most often unsuitable footwear. 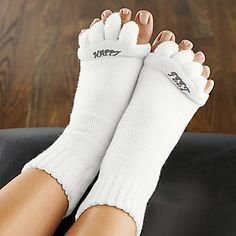 SymptomsThe symptoms of bunions include irritated skin around the bunion, pain when walking, joint redness and pain, and possible shift of the big toe toward the other toes. Blisters may form more easily around the site of the bunion as well. Having bunions can also make it more difficult to find shoes that fit properly; bunions may force a person to have to buy a larger size shoe to accommodate the width the bunion creates. When bunion deformity becomes severe enough, the foot can hurt in different places even without the constriction of shoes because it then becomes a mechanical function problem of the forefoot. Bunions are readily apparent – the prominence is visible at the base of the big toe or side of the foot. However, to fully evaluate the condition, the foot and ankle surgeon may take x-rays to determine the degree of the deformity and assess the changes that have occurred. Because bunions are progressive, they don?t go away, and will usually get worse over time. But not all cases are alike – some bunions progress more rapidly than others. Once your surgeon has evaluated your bunion, a treatment plan can be developed that is suited to your needs.